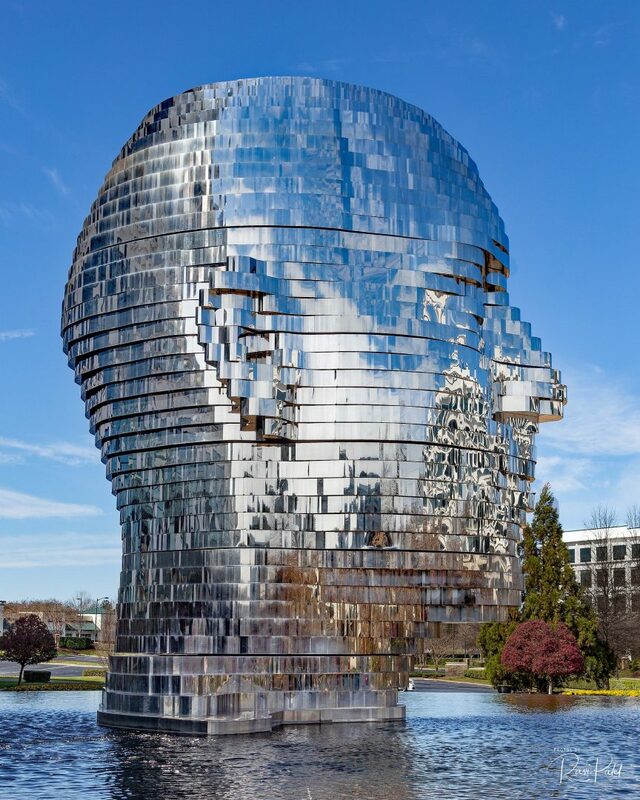 When the motorized, internet-controlled segments of Metalmorphosis (in Charlotte) are rotating, the result is an oddly mesmerizing perpetually moving showpiece which alternately looks like a human head—with disturbing, gaping holes where the mouth or eyes should be—or, alternately, like nothing replicated in the physical world. 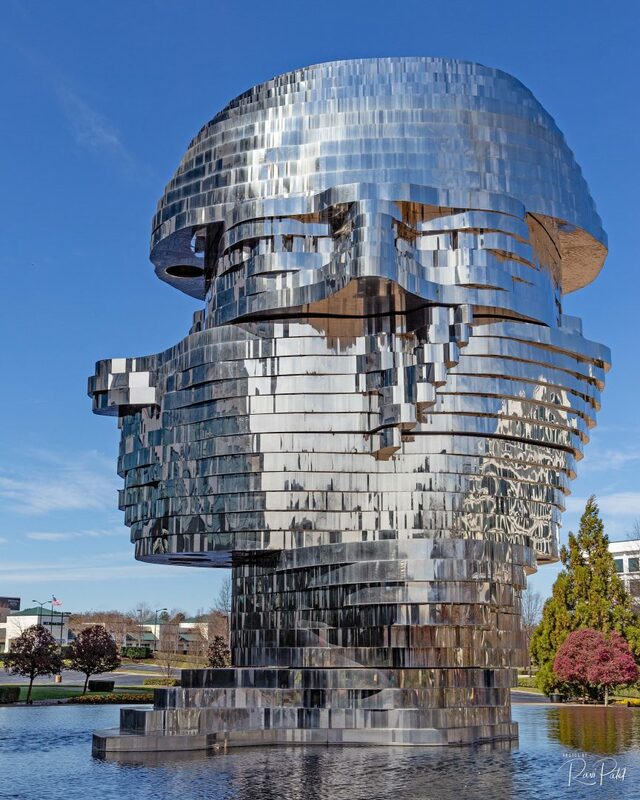 This entry was posted in art, North Carolina, Photography and tagged Charlotte, head, human, Metalmorphosis. Bookmark the permalink.